Usually the Human Resources department is one of the first to be contacted by an employee if he/she changed the number of his/her phone. HR will update their own master data as a result of this. 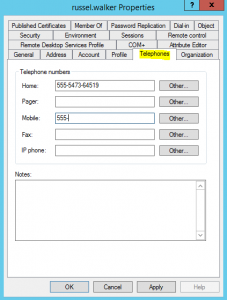 In case the phone number needs to be stored in Active Directory, an additional notification to the IT is necessary. The reason is that neither the workers nor the HR can perform this change directly. 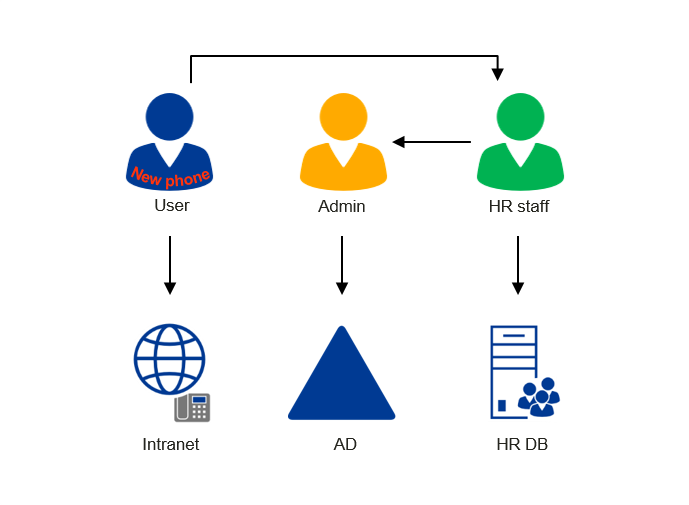 Many companies and organizations also use intranet address books, that are usually not connected to an HR database or Active Directory. But these Intranet phone books are often the only applications that provide a self-service to let users maintain their own records. There are various reasons why. The initial situation: Changing one attribute means work in three systems. In many environments there are even more databases or directories that host the same user data. How much workload is are really needed? Like any other user, an HR employee also has to login to his Windows computer at the beginning of the day. 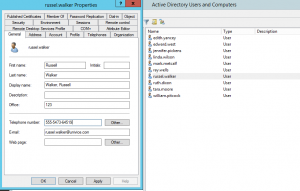 In most cases this synonymously means an authentication process against Active Directory. And this means that any user working with a computer that is connected to the organizational network has an AD account. And with this a certain amount of its attributes filled. If there is already and AD account for each user, why maintaining additional databases and directories with the same information? Responsibilities can be defined according to the organizations policies. If users are not capable of maintaining their personal information to the AD, another person can be authorized (manager, secretary, etc.) to edit it. 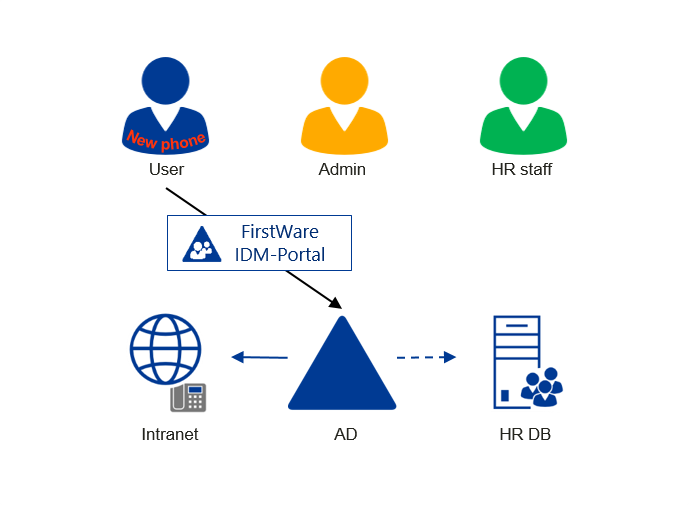 Both options (Self Service and Delegation) can be easily implemented with the FirstWare IDM-Portal. If you need a flexible role model, you should have a look at the standard edition. Self Service is already possible with the free edition. 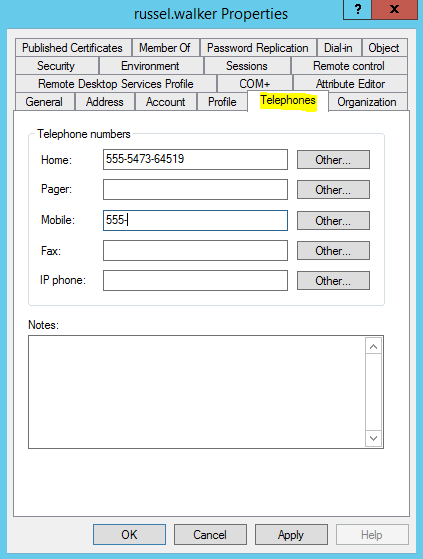 Item 1 and 2 can already be accomplished with IDM-Portal FreeEdition – and enables non-IT staff to maintain telephone numbers in Active Directory. The installation takes less than 30 minutes. 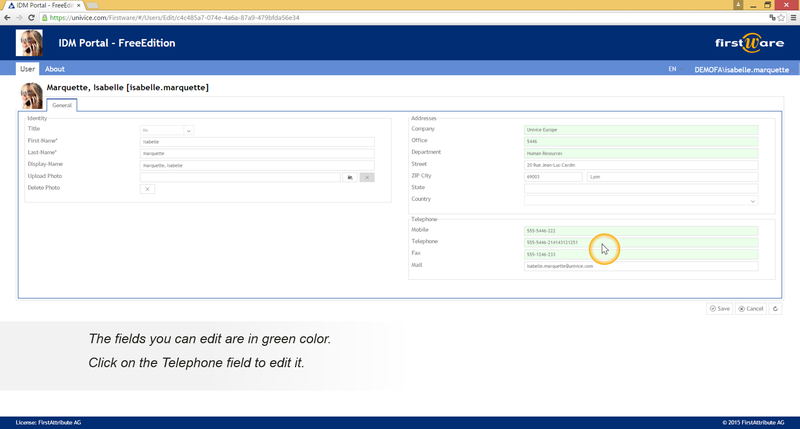 Editing your own user attributes, such as the telephone number with FirstWare IDM-Portal is self-explanatory. 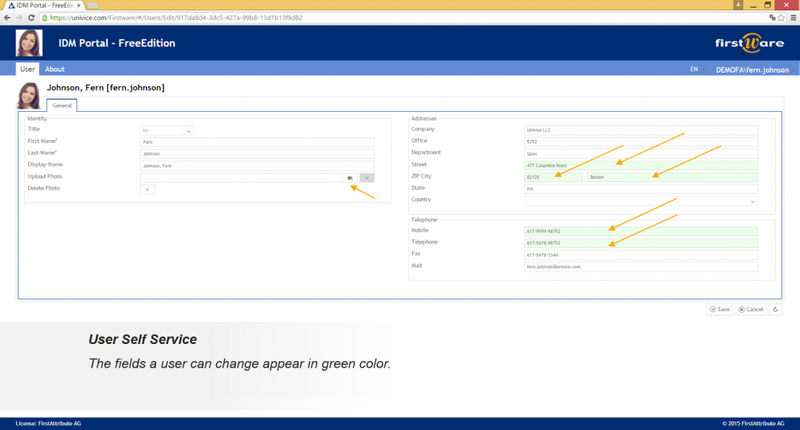 The portal can be opened via web browser and the user is already logged in according to its Windows login. By clicking on the profile picture in the top left, you reach your profile and can edit your own data. 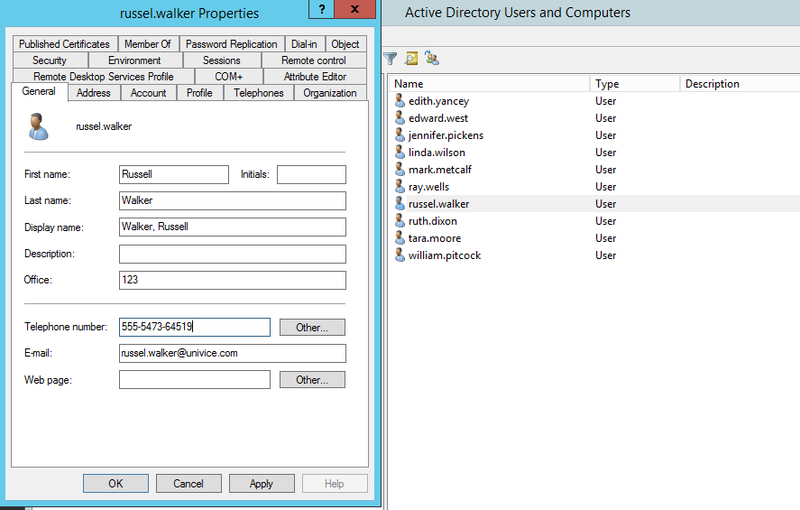 An administrator needs to edit attributes in two tabs of the Active Directory Users and Computers console in order to set all telephone numbers. The processing takes longer, delegation must be set up and explained. The whole process is more time-consuming. Self administration can be extended to many attributes. Green fields show the user what attributes he/she can edit.